The NDDC’s college-community collaborations continue. 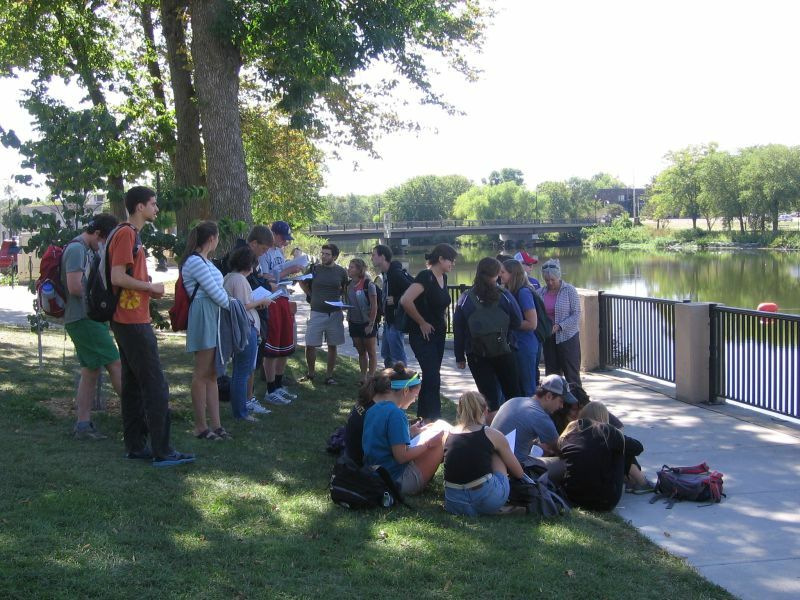 Kicked-off by the St. Olaf J-Term Math Practicum at the beginning of this year (running existing engineering data through the Army Corps of Engineers’ HEC-RAS program), the Cannon River has been a popular subject for the students. There were a number of river projects at both St. Olaf and Carleton Colleges this Spring. The work included gathering community perspectives, presenting findings via web video, recommending an accessible archive of information, and assuring a transparent process for modeling. This Autumn, there are additional projects at Carleton College. Professor Carrie Jennings’ class is going to analyze the sediment in the river and Professor Sam Patterson’s class is going to take this analysis and run it through the HEC-RAS program. With increased understanding of the sediment content, we can better model the possible sediment transport. One of students’ first questions was “Who are the stakeholders?”. The students want to include the perspectives of all stakeholders in their analysis and process, just like the leadership of the NDDC.